Rima Kallingal known for unique approaches both in reel and real life has shown her skill and interest in business too. After venturing into the field of textile industry with 'Soul Sisters', Rima is geared up with her dream project, a dance school which has already generated a lot of curiosity for clubbing various boogies together. Named 'Mamangam', this new dancing school situated at Café Papaya near Kaloor, in Kochi with a perspective to take boogie steps to the new level will be truly a platform for everyone who loves to celebrate dance. Rima along with a team of renowned masters from various parts of the country has come together to offer the best dance experience for the students who wish to explore opportunities. It would also open doors to understand and cultivate a unique style and character in dance. 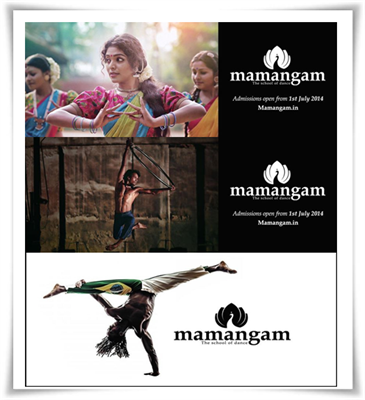 'Mamangam' offer courses like Bharatanatyam, Kuchipudi, Kalarippayattu, Capoeira, Hip-hop, Udaya, Punarjani and Yoga. Even though Rima will not directly teach any of the dance forms due to her film commitments. The special attraction of this school would be hip-hop and Capoeira, a kind of Brazilian dance form. Capoeira is a Brazilian martial art form, a combination of dance acrobatic and music. Known for its quick and complex moves, kicks, spins and highly mobile techniques, Capoeira is expected to have fan followers in Kerala too. Through 'Mamangam', Rima aims to create a ground for holistic training in various dance and martial art forms. Mamangam will also be the hub to train children aged 3-7 at an introductory level and a new program named Punanrjani aimed at ladies above 25 who could not pursue their love for dance as they had during their youngster days. Another course named Udaya is for young dance aspirants to be initiated into the world of dance. Rima and her dance academy are supported by established trainers like Jaikishore Mosalikanth, Padmavani, N Srikanth, Ashwathy V Nair, Nancy Joy and Dil Sagar who are from various places like Bengaluru, Chennai and Kozhikode.